This Time Management Session is one of a suite of core managements skills sessions we have designed to help first line managers and supervisors to step up to lead as they achieve their first line management role. Picking up the reins of new operational and leadership activities to maintain business as usual and enhance the longer term perspective. Hardly any wonder then that managing time or personal effectiveness figures so highly as a core management skill for any manager at any level of an organisation. 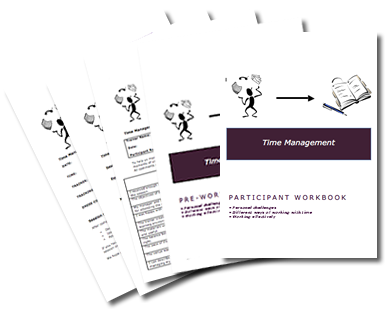 Describe the personal challenges they face in managing their time more effectively. Identify different ways of working with time. Apply a prioritisation method to help them work more efficiently. Increased confidence to have more robust discussions about workload priorities for business as usual and new projects. Some insight into how to flex a personal style when working with those who are different. Complete a short questionnaire which will help participants reflect on the way in which they currently spend their time. Keep a time log for analysis at the session.